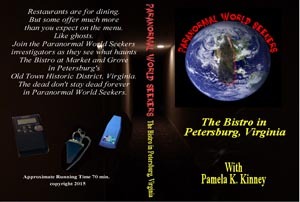 Welcome to Pamela K. Kinney's world, where spirits haunt hotels, bed and breakfasts, grocery stores, bookstores, plantations, and many more places. Today she is at a science fiction convention, Marscon 2013, where it is being held at a hotel where paranormal activity has been seen, felt and heard. 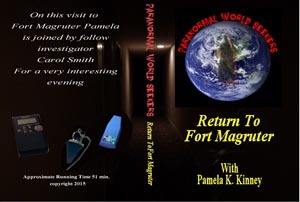 Come with her now on a paranormal investigation to see what might be discover. The dead don't stay dead forever in Paranormal World Seekers. Purchase this DVD for 10.00 plus 5.60 priority shipping. Contact me directly at Pamela or use the link below to purchase. 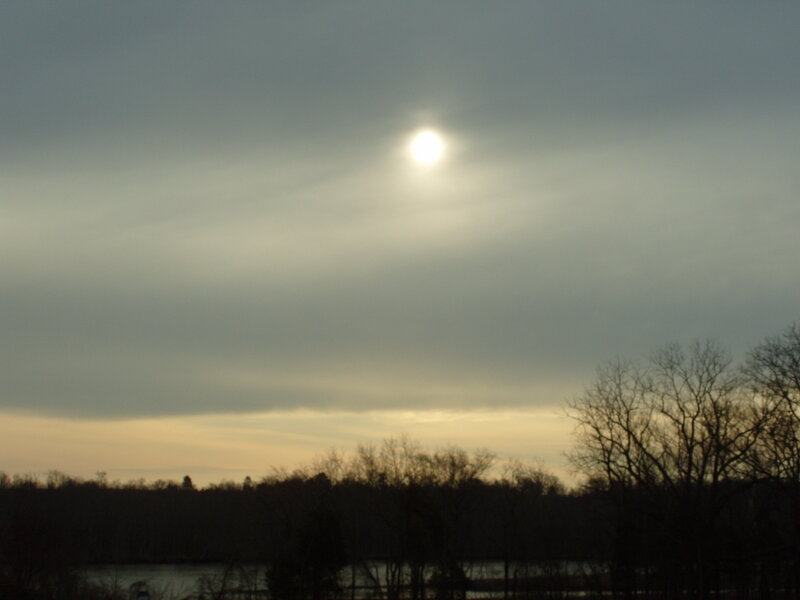 In this episode, we explore the myths of ghosts at Crawford Road Bridge in York County, Virginia. 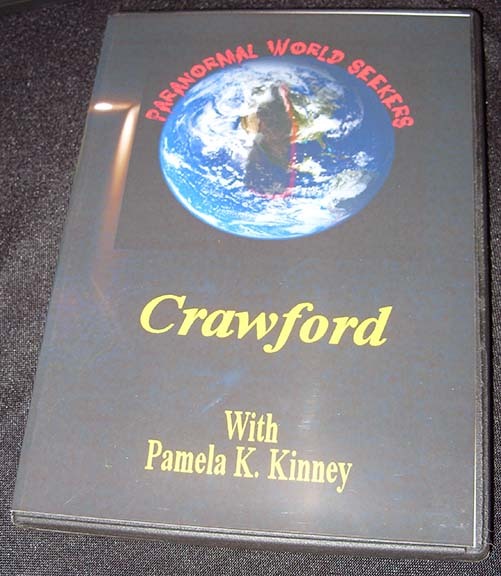 Join Pamela as she makes contact with a spirit who says he must stay on the bridge. 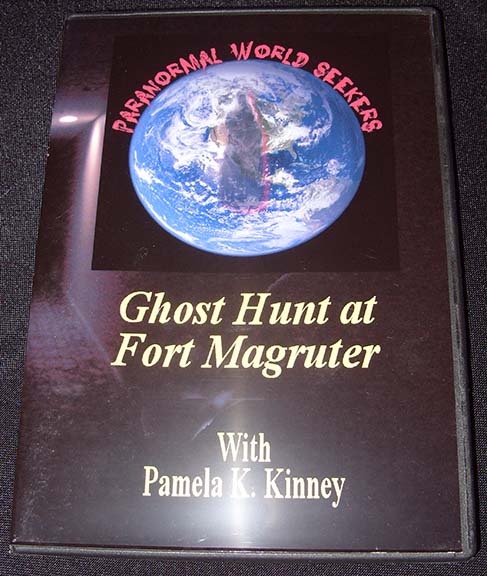 Return with Pamela in 2014 to haunted Fort Magruder Inn in Williamsburg, Virginia as she makes contact with some of the spirits from last year's Williamsburg Ghost Hunt episode. 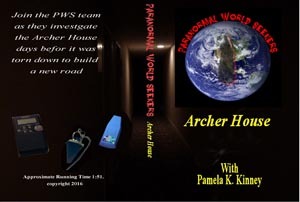 Join the PWS team as they investigate the Archer House days before it was torn down to build a new road. Contact my Co-Producer if you like to purchase it and get it shipped to you.